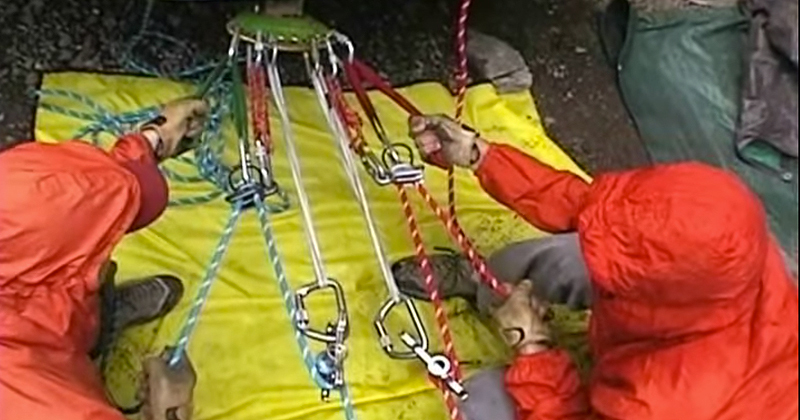 Building sound anchors is one of the fundamental elements of recreational climbing, rope access, and technical rope rescue. 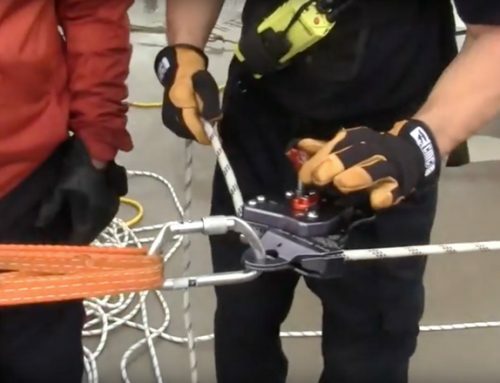 Anchor configuration methods are also some of the most discussed, debated, varied, and perhaps doctrine-based skill sets in the entirety of ropework. However, much of the debate as to which anchoring technique is most appropriate for a given situation is dependent on anecdotal evidence as well as the way that we have always done it. 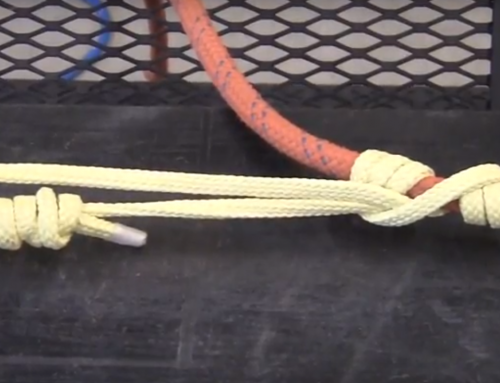 The wide range of anchoring techniques and practices employed across different practitioners, organizations, and disciplines suggests that there is a high degree of unknowns and perhaps misunderstanding within the ropework community. In the spirit of increasing our own understanding of ‘how stuff works’ in anchoring, we chose to examine how dedicating more strands (i.e. material) to a given anchor point affects the overall load distribution in a multi-point anchor system. 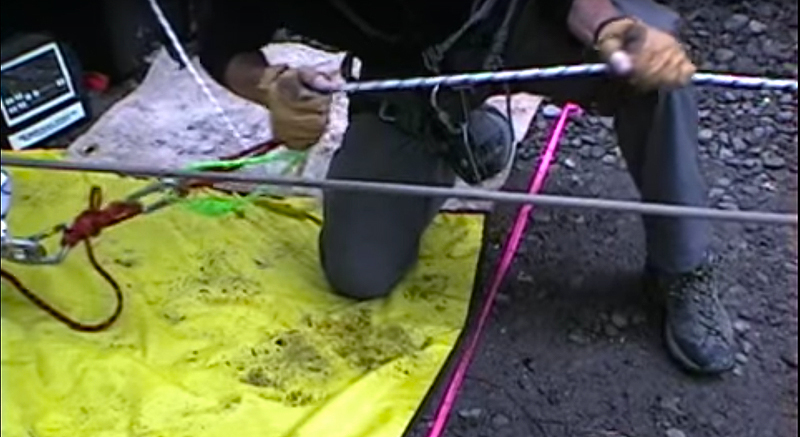 Additionally, we examined how a knot at a given location in a multi-point anchor system affects the force distributed to the various anchor legs. 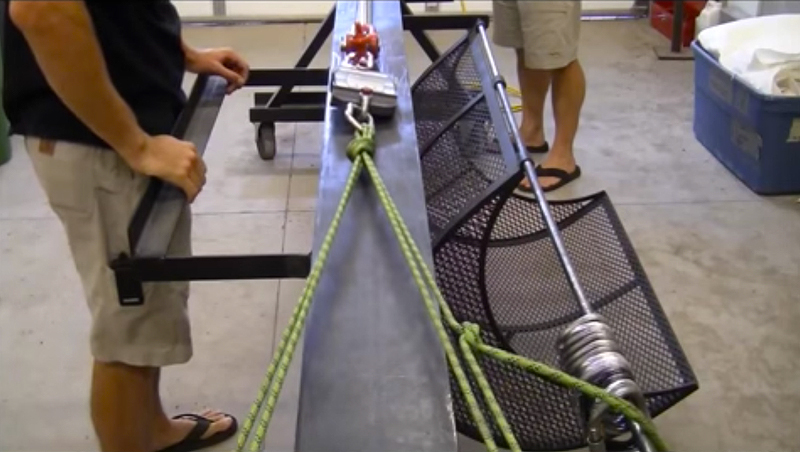 Our test method focused primarily on 2-point anchor systems with equal length legs. The leg lengths examined were either 1 meter per strand or 5.5 meters per strand in order to compare the effect of different amounts of material for a given test set-up. 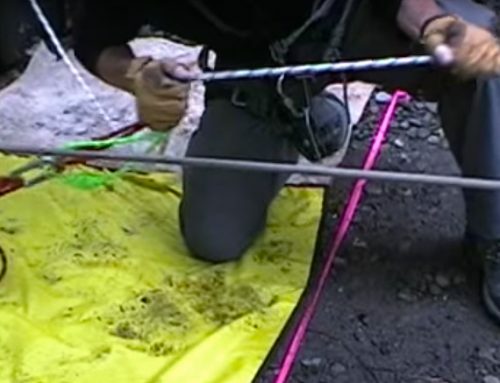 The research was conducted using a hydraulic ram slow pull machine and resultant forces were captured using electronic dynamometers at each of the two anchor points as well as at the focal point (aka master point of attachment). Over 150 slow pull examinations were conducted on a wide variety of configurations including: 1 strand vs. 2 strands, 1 strand vs. 3 strands, 2 strands vs. 3 strands, etc. Material used included 8mm low stretch kernmantle cord as well as 11mm low stretch rope. 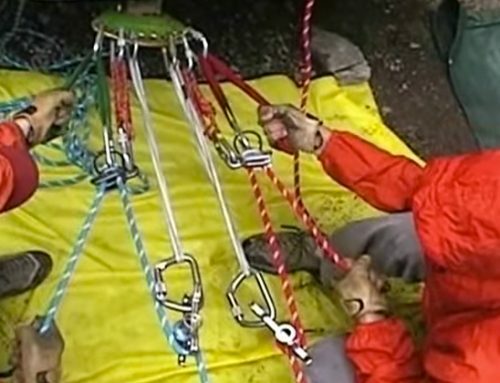 We discovered that there is a wide range of force distribution in even the most carefully constructed multi-point load distributing anchor system. 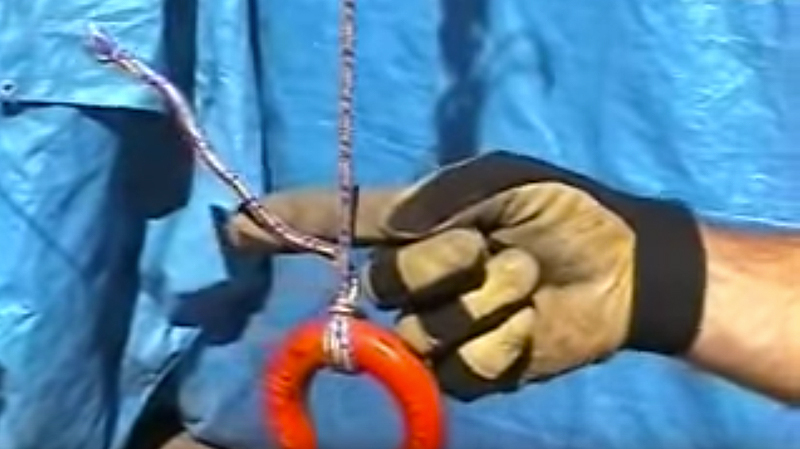 Additionally, anchor systems that include a disparate number of strands dedicated to a given anchor point affect the force distribution significantly. And lastly, knots in the anchor system on individual strands affect the distribution further still. 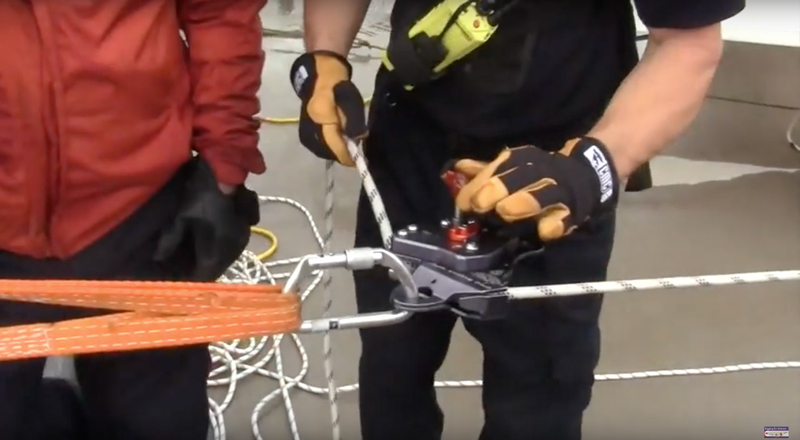 As ropework practitioners, when we approach a multi-point anchoring scenario with the intent of equalizing that anchor system, the techniques that we employ will likely have a significant affect on the overall force distribution achieved. Our given practices may be unintentionally favoring individual anchor points more than we intended. The reason that anchor system failures are a relatively rare occurrence likely speaks to just how overbuilt our systems are as a general practice. 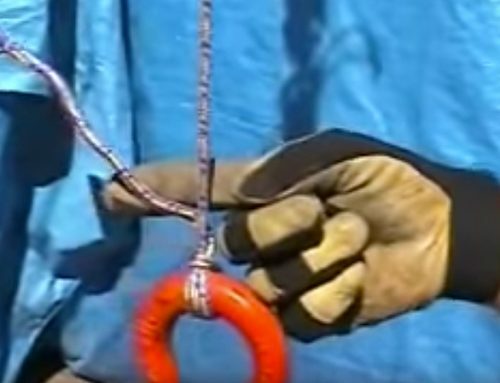 A more thoughtful approach to the rigging techniques employed in a multi-point anchor system will provide the greatest dividends when the overall quality of anchor points is dubious at best. Ideally this research can provide an impetus for further research in the topic as well as a critical thinking approach to ropework techniques and practices.